Calling all cosmic things to suit up in their craziest thrift gear and style a bulky bouffant… the OG’s of dance music are back, bringing the party to a stage near you this summer on their 40-year reunion tour! 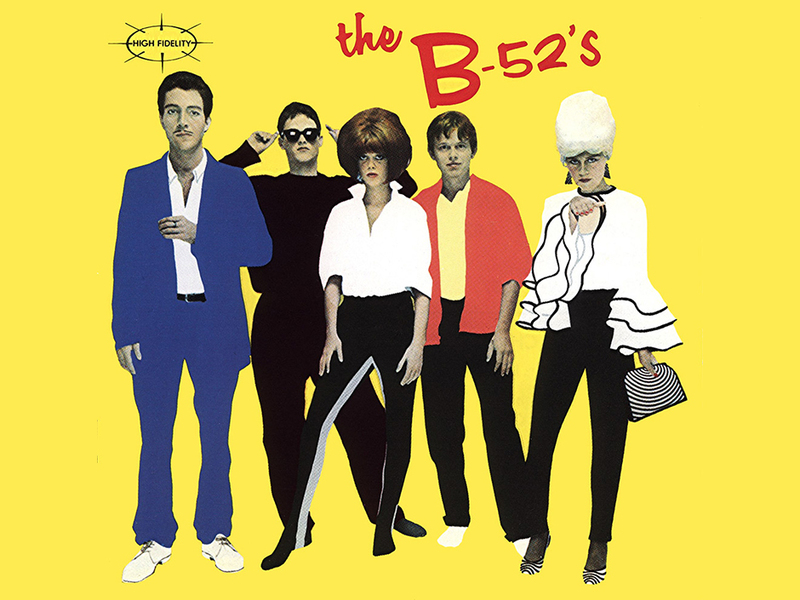 Anyone with a pulse in the 80’s remembers the B-52s as the forefathers (and mothers) of the new wave dance movement, which is why we are wigging out with excitement to catch up with the renegades, chatting life on the road, hometown love, and career longevity. The wonderfully wacky group formed in 1976 after an impromptu jam session fuelled by flaming volcano drinks sounded better than expected. The quintet decided to form a band rooted in the fun-loving spirit of dance, pulling inspiration from art forms as vast as Aka pygmy music to Captain Beefheart, or Halloween music to Joni Mitchell. The band would come to be known for their supremely unique sound characterized by a surf rock take on new wave, conversational lyrics, and unorthodox instrumentation, all of which was brought into fruition with wildly energizing live performances. When asked about the modern era of Electronic Dance Music, front man Fred Schneider replies, “I don’t know how you dance to it,” noting he prefers his dance music funky. Whether it was the freshness of this new act, or optimal timing at the onslaught of the 80’s, an incredibly fruitful career awaited the young talent. Suddenly, the weirdest thing to come out of the south had exploded onto the mainstream with hit single Rock Lobster in 1978, quickly followed by a brigade of glimmering hits that continue to grace major movie soundtracks to this day. Fred attributes their lengthy career to the band’s family dynamic, which he notes was “built out of genuine friendship”. He also adamantly mentioned that they have amazing touring musicians that make it easy to be on the road for long periods of time. “We started out as friends and shared everything (evenly)… we decided from the beginning to split everything from credits to royalties and so on.” We can all appreciate how rare it is to see long-term success like this, especially in the music industry today. The reunion tour kicks off in Philly on June 1st and Cindy, Kate, and Fred (who all have amazing side projects alongside the band) although currently dispersed across the country, agreed to reflect on their early days in the south. Get to know Athens, Georgia, the small southern town with a surprisingly fruitful music scene, shaping the likes of REM to the Indigo Girls. The Grit – vegetarian, southern style cooking. What are some underrated buildings or landmarks you love and why? The Tree That Owns Itself – I don’t think its legal but it’s a tree… and it was willed in the will… given its own little property. Potter’s House (I think now closed) – down by The Last Resort (the first place we played in Athens, now a restaurant) – hip antique mall full of great old stuff and clothes and nutty stuff. I love it, its where I used to get my unicorn T-shirts. I don’t do karaoke, I do scary-okie. I take songs and ruin ‘em! I’m a big fan of Wuxtry Records, I’ve been going since they opened and Mike Turner who runs it also has an Athens Label called Happy Happy Birthday To Me.